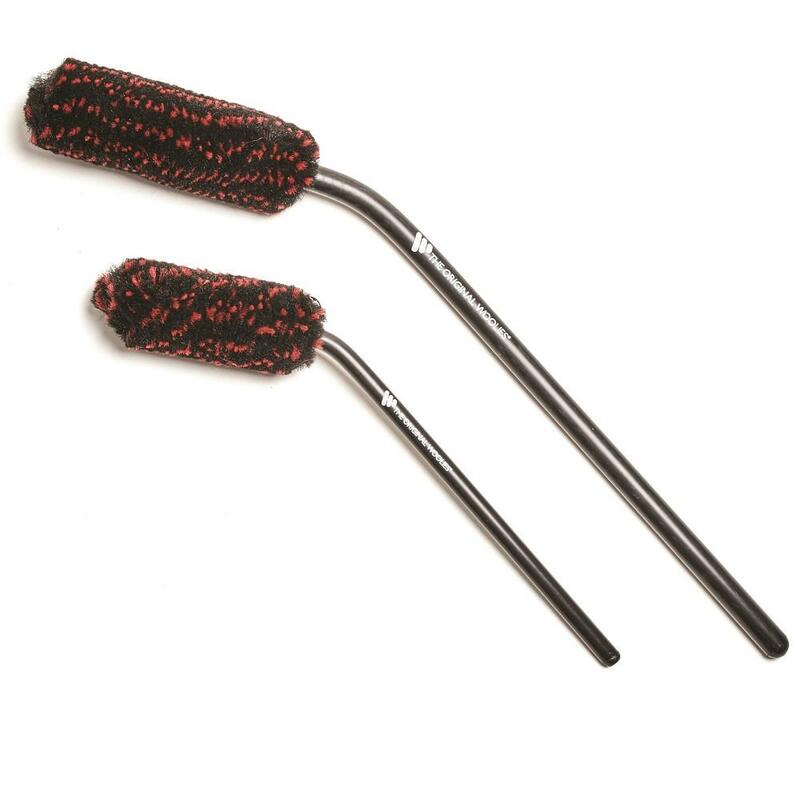 Wheel Woolies Car Wheel Cleaning Brushes, Car Wheel Cleaning Tools - California Car Cover Co.
Get down to the nitty gritty and fully detail your car wheels with these Wheel Woolies car wheel detailing brushes. 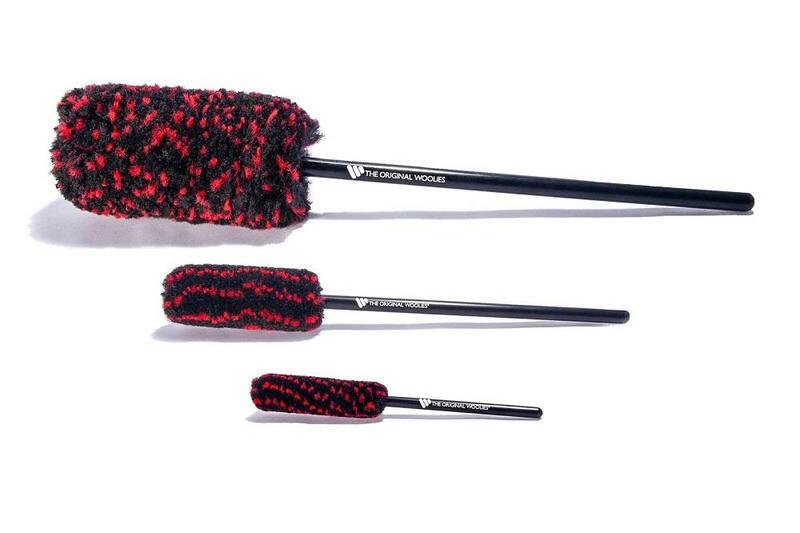 Gentle yet effective, the Wheel Woolies are made from a super-dense micropile fiber. 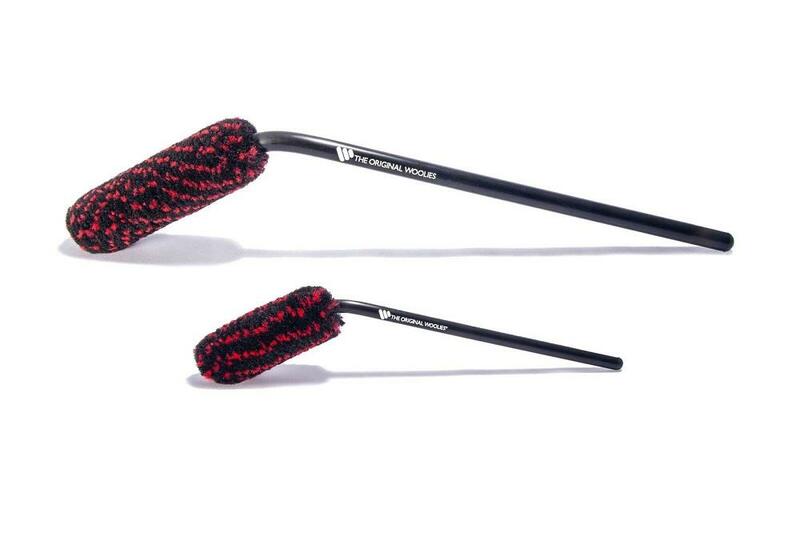 The head and handle are constructed of polypropylene, so the whole brush is metal-free and chemical resistant. 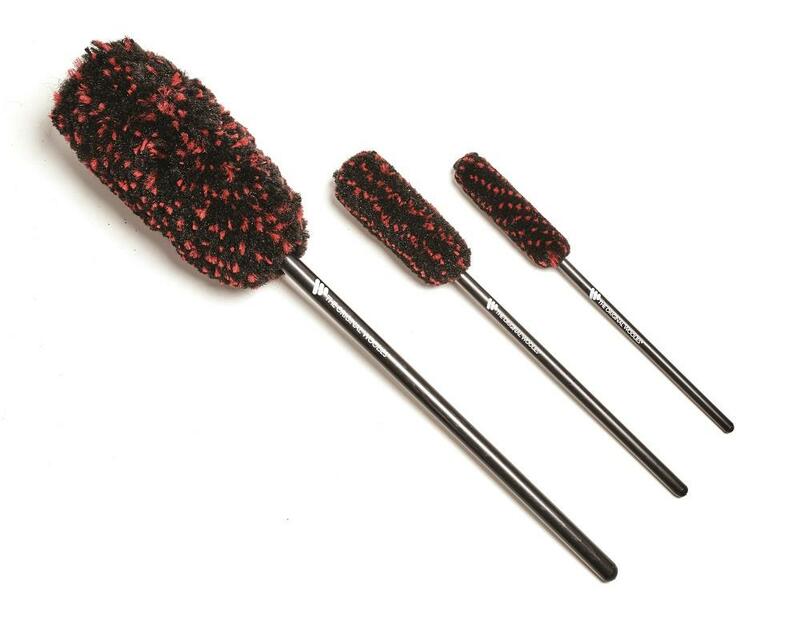 The 3-piece kit includes 18”, 12” and 8” brushes to clean everything from slim gaps and narrow spoke wheels to engines: or select the 2-piece caliper spoke set that has 18” and 12” brushes, both with angled heads for reaching tough spots like the back of your wheel’s spokes. Made in the USA.